Last week, the discussion on microwave and EMF hazards, with our panel of four guests from Health Freedom Idaho (www.healthfreedomidaho.org) led to the bottom line concern, what can each of us do to protect ourselves, our families and kids from this fast intensifying threat of biological harm. Our guests explained how EMF fields and pulsed microwave transmissions harm all living organisms, and what each guest was contributing to solutions. Many of our listeners have said we need to invite engineer, inventor and health teacher Ken Rohla (www.freshandalive.com) back on the show to discuss the same issues. Ken has invented devices that help protect against the damage these fields and energies cause (right, that's damage, not "risk"), and I've had the opportunity to experience some of them in action and see how effective they really are. Ken's work and his inventions clearly have what I call the "Government Seal of Approval," as our regular listeners have heard me explain on previous shows. I totally trust our government, in the sense that they rarely go after someone to shut down public knowledge of their work unless it is truly valuable. Ken is an incredibly informative guest who always shares practical information that we can use in everyday life, and I expect his appearance on this Sunday's show to be no exception. 5G and other microwave technologies are designed to be harmful to humans and other life forms, but for most of us that don't feel the damaging effects consciously, they are insidious and need our special attention, so we can do all we can to mitigate the damage to ourselves and others we care for. I think you'll find Ken's insights valuable in your efforts to learn how to do this. AND NOW - FREE SHIPPING! GET ALL 91 LIVE CALL-IN SHOWS FOR JUST $25! MP3's of our past Saturday Live Call-In Shows available for your phone or car. This was the show BEFORE The Planetary Healing Club started in January 2018. The lost arts are all parts of the larger overall art of living in harmony with nature and with all life, within and outside of ourselves. The detail of many of them is gone beyond recall now, until the consciousness that made them originally available returns to our awareness. There are some though, that are just now on their final way out of our world. They are the basic ways of life based on beauty, harmony and deeper experiential understanding. Regaining and maintaining our normal state of good health on all levels includes many of those almost-lost arts that we can still re-learn. Most of the problems of the physical body can be addressed when those arts are remembered. Their wider application in everyday life recaptures emotional, mental and spiritual levels of health as well. 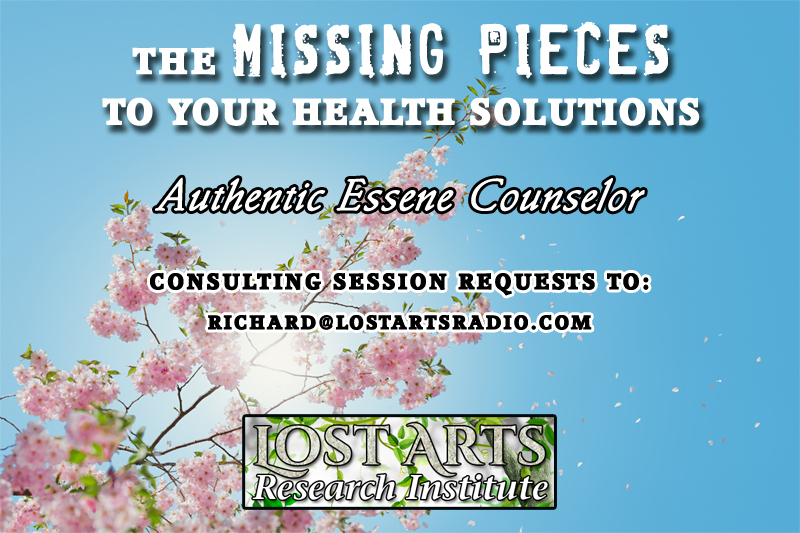 Lost Arts Radio will look at those ancient and timeless perspectives on health that can be of use in our current world, and the very different view of life and reality that made those understandings possible. On a more mundane level, we can also see that basic arts and crafts of survival and beautification of life that were once widespread are now endangered as well. Sacrificed on the altar of efficiency and related ideas of the modern world, many basic skills like production of clothing, shoes, tools, pottery, glassware, even the growing of health-giving food, have come close to disappearing from the individual or small business domain, though there are still many individuals among us keeping them alive. When we become dependent on high-tech solutions, whether for health or for other basics of life, our security and self-reliance begin to disappear and we become easy prey for those that would control and direct our lives. Often we hear this is for our safety, convenience, etc., but too often we don't even realize what we have lost. Lost Arts Radio, in addition to exploring the ancient wisdom of health and healing, will look at other lost arts and the people keeping them alive. Interviews of some of these people on air will give a direct glimpse into the beauty they are adding to our world through their life and work in areas we may have forgotten or never known. You will also hear from courageous individuals who are helping to spread awareness of threats and solutions related to our health and well-being. 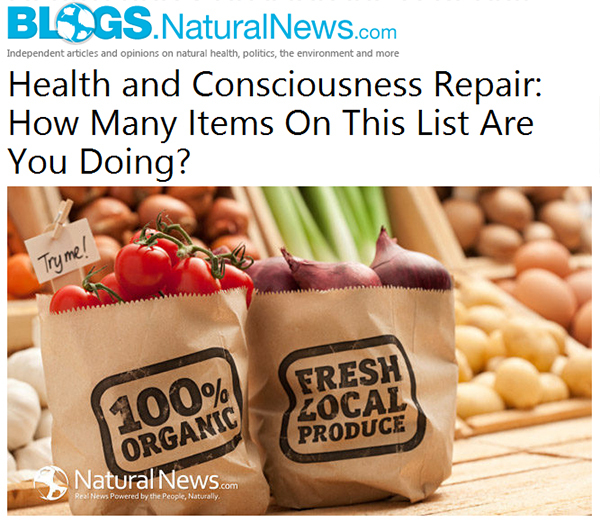 Their work can help us avoid or minimize damage from these dangers by understanding them and knowing the remedies, options and alternatives. Our weekly show will also feature guests who, in their own ways, are keeping the vanishing arts essential to humanity from disappearing from our planet, and may be coming back into common experience if together we can turn the course of world events in a positive direction.